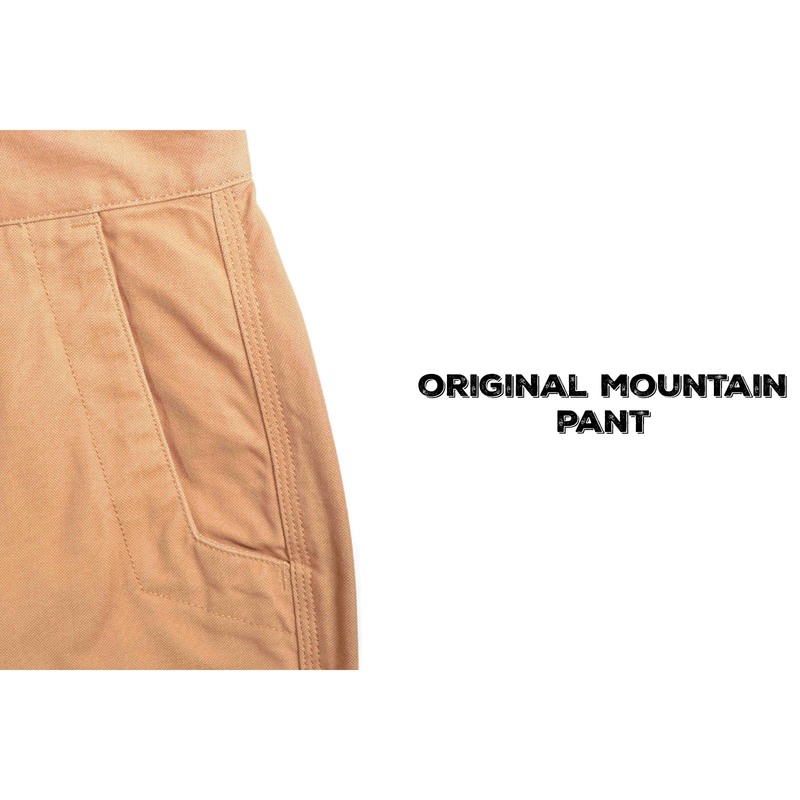 Where Mountain Khakis started and why we'll never stop. Includes MK's signature features like diamond-shaped action gusset, triple-stitched seams, hidden right pocket and angled front pockets, reinforced pocket bags, reinforced fly, and "mudflap" reinforced heel cuffs. I am super picky about the way my pants fit, and will not buy a pair without trying them on. These pants wear awesome! I’m on my fourth pair, but no stores near me had my size, ordered two pair online, still a perfect fit. Thank you Mt Khaki for staying true to size. Oh, and the shipping was prompt too. After six pairs of MK relaxed fit pants, they finally attempted to remedy the Achilles’ heel of this style of pants- the pockets. It appears they just doubled the layer of pocket material. These pants are so well built I figured the flawed pockets were of a planned obsolescence design so one would have to purchase pants more frequently. If you’re listening MK: Make your pockets out of the same material as the pants and you will have a five-star product. Great fit, quality and look. Will by more! On my third pair of OMPs. Perfect blend of durability and style. Really like the slim fit.